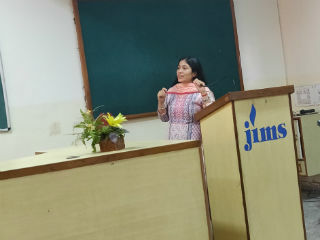 The guest lecture conducted for PGDM Batch(2018-20) students on 8th Oct 2018. It was a wave of inspiration and positivity to mark the new beginning. We were fortunate to have amongst us Dr.Nitin Seth, Academic Head of MBA Programme at Auckland Institute of Studies in St. Helens, New Zealand as the guest of honour. 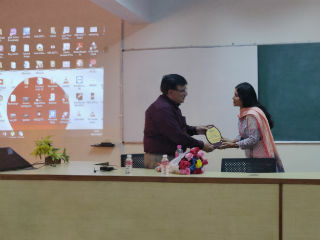 The session opened with a brief introduction of Dr. Nitin and his achievements followed by a floral welcome. The topic of the session was ‘Customer Engagement’. With the growing importance of the topic in current marketing scenario, he enlightened the students with the know how of various channels to achieve it. The real life example of an iconic businessman, Jeff Bezos helped the students to better relate with the topic. We look forward to more such sessions.